Bobby Kaufmann and Vicki Lensing. Two key legislators say they’re opposed to selling the state-owned Iowa Communications Network. “There’s 3,300 miles of fiber optic cable that the state owns. They service over 1,000…customers with 7,300 accounts. We have a valuable asset. I think the questions is: ‘How can we better utilize it? '” Representative Bobby Kaufmann, a Republican from Wilton, asks. Kaufmann is chairman of the House Government Oversight Committee. The panel is investigating network operations after an audit revealed the now-fired ICN director misspent $380,000 and hired people who weren’t qualified for their jobs. Representative Vicki Lensing, a Democrat from Iowa City, also serves on the Oversight Committee. 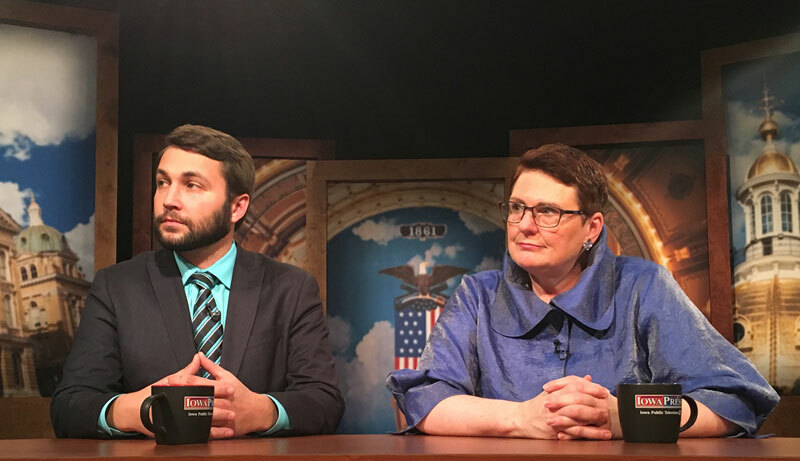 Lensing opposed past efforts to sell the state-owned network and her position hasn’t changed. Lensing said the Iowa National Guard solicited bids from private companies and chose to maintain the state-owned ICN as its telecommunications carrier. 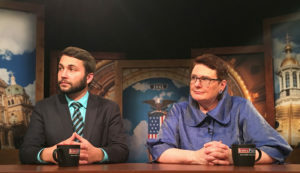 The two legislators made their comments during taping of Iowa Public Television’s “Iowa Press” program that airs tonight at 7:30.